NordVPN vs. PIA (Private Internet Access) - Who Will Takes the Trophy? Pitting NordVPN against ExpressVPN was unquestionably a fascinating combat to see. I told you that the competition reminded us about the battle between Goku and Jiren. Well, I hope you excuse my Dragon Ball Super obsession, as we move on to review NordVPN vs. PIA. This battle between the two is like telling Goku to fight against the Namekian we all love, Piccolo. While the green-bada$$ is incredibly powerful and strategic, he is simply no match for Goku, who battles Gods! NordVPN is comparatively a better VPN service against PIA. This is because NordVPN has outweighed PIA with 61 points having the best functionality. I’ve said it before and I’ll say it again, NordVPN is one of the best in the industry. The VPN is an all-rounder that does not let anything slide. Based in Panama and Established in 2012, it offers static IPs for personal use, excellent encryption for anonymity, remarkable privacy for P2P, and amazing unblocking capabilities. It even offers the largest server database in the marketplace currently. Private Internet Access, on the other hand, is a US-based provider. This automatically reduces its credibility, as US is a part of five and fourteen eyes alliances. However, the VPN has never actually been caught revealing private data to authorities. It is quite loved and offers cheap pricing, strong encryption options, and stands the closest to tackling NordVPNs huge list of servers. Since VPNs are crucial tools for unblocking/streaming/torrenting, it is vital that you receive good speeds. The last thing you need is suffering with a turtle internet. In light of this, I decided to conduct a performance assessment on both providers. This involved testing max download bandwidths of NordVPN and PIA for different servers in varied countries. I then noted the average speeds received. If I talk about NordVPN, all servers were highly speedy. Of course, those located far away displayed mediocre performance. The average though peaked at 43Mbps, indicating a speed loss of 5%. For Private Internet Access (PIA), the results were no match for NordVPN. The average speeds peaked at 38Mbps, indicated a speed loss of 25%. There is a great need for improvement in connection speeds for PIA! The pricing is the main selling point of providers in the VPN industry. Users often go for services that tend to be cheap. However, even with some expensive plans, you can take advantage of amazing deals. For instance, the monthly pricing for NordVPN starts at $11.95. If you want to leverage cheap pricing though, you can opt for their bi-annual plan. It gives users a 24% discount, totaling to only $54. Therefore, the longer the duration of the subscription, the cheaper the pricing with NordVPN. Say you go for the yearly plan. You will only have to pay $6.99/mo., which means you receive a discount of 41%. For users who want to leverage the best value, you can go for the 2-year plan. This reduces the monthly costs to $3.99, indicating a discount of 66%. This means, you only pay $95.75 for 24-months. PIA definitely manages to be cheaper than NordVPN. It offers some of the best rates in the marketplace. This makes it a top choice for budget-conscious buyers. The monthly pricing for Private Internet Access (PIA) starts at $6.95. If you want a better deal, you can go for their yearly plan. It reduces the pricing to 3.33 per month, which means you receive a massive discount of 52%. As a result, users will only have to pay $39.96. For the best value, users can opt for the 2-year plan. It reduces the monthly pricing to $2.91, giving users a massive 58% discount. This means, you only have to pay $69.84 for two years. For refunds, PIA only offers a 7-day money back guarantee. However, if you go for NordVPN, you can leverage a 3-day free trial, along with a 30-day refund guarantee. One of the best things about NordVPN has to be its strong privacy and security. The provider is simply undetectable to websites, thanks to its large pool of shared IPs. Add this to NordVPNs support for all protocols, including IKEv2, L2TP/IPSec, and OpenVPN. You can feel assured to receive maximum anonymity. For the data channel, NordVPN uses 256-CBC ciphers with HMAC SHA256 hash authentication. For its control channel, NordVPN uses the same hash authentication and ciphers above, with the addition of an RSA-2048. A strong DHE-4096 key exchange is used for setting up Perfect Forward Secrecy (PFS). If you are using the iOS app, NordVPN changes its encryption. 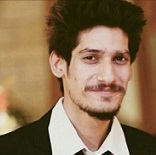 All connections use the IKEv2 protocol with AES-256-GCM ciphers with HMAC SHA2-384 data authentication. Despite being a US-based provider, Private Internet Access (PIA) maintains an incredibly strong network of servers. They utilize strong encryption ciphers on L2TP/IPSec and OpenVPN Protocols. For the data channel, PIA uses the infamous military grade; AES-256-bit ciphers with SHA256 for data authentication and RSA-4096 for handshake. PFE is available via DHE+RSA exchange. For the control channel, PIA uses the same ciphers and hash authentication, with the inclusion of SHA384 for authentication. Perfect Forward Secrecy (PFE) is available via ECDHE+ECDSA. In short, you receive great privacy with both providers. NordVPN, however, goes the extra mile by offering the CyberSec Protocol and features like Dedicated IPs and Onion over VPN. When it comes to selecting a VPN service, you need to have advanced features available. 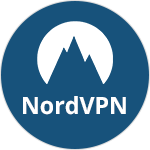 NordVPN has always stood at the forefront of privacy innovations. It offers a unique set of tools, which I have listed for your convenience below. All these features position the VPN higher than others in the marketplace, as you receive maximum security/privacy at all times. However, PIA does not seem to back off either. The provider, despite being incredibly cheap, stands its ground against NordVPN. It offers most of the same features/technologies available with NordVPN. This leaves determining the winner among the two to a simple facet: simultaneous connections. Where the Panama-based provider grants six simultaneous connections, PIA offers five multi-logins. You can now decide the better choice for yourself! In terms of P2P/Torrenting, both NordVPN and Private Internet Access (PIA) tend to offer amazing compatibility. Each provider offers the relevant features required for granting you maximum anonymity for downloading files via torrenting. It is safe to say that both providers have a tie around for this particular aspect of using the Fastest VPN. They offer more or less the same features. These include Port Forwarding, SOCKS5 Proxy, and Multiple Gateways. In terms of connectivity, NordVPN offers a huge collection of 5100+ servers in 62+ countries. Out of these, users have P2P friendly servers in 28 countries worldwide. 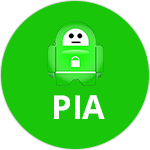 PIA gives users access to 3160+ Servers in 33 Countries. However, just like NordVPN, it has P2P friendly servers in 28 countries! To get a better idea on the VPN apps of NordVPN and PIA, I decided to conduct an unblocking test. This process involved connecting to different VPN servers. Then, visiting various blocked websites to see if the VPN successfully bypasses geo-restrictions. NordVPN worked amazingly, especially when connected to their Obfuscated Servers. I was easily able to bypass “The Great Firewall”. At the same time, I also received no issues when unblocking the US Netflix and its complete library. For PIA, the results were quite similar. Though you do not have Stealth Servers available like NordVPN, PIA offers a strong IPSec/L2TP connection. It was successfully able to bypass the Chinese firewall, while unblocking the American Netflix, seamlessly. It is a tie again! In terms of support, NordVPN does a far better job in assisting customers, in comparison to PIA. The provider offers 6 different mediums for getting help, where PIA only gives you access to 4. This in itself positions the Panama-based provider higher than the US-based service. Add this to the incredibly fast 24/7 live chat support, and NordVPN gives the best bang for your buck. Conversely, PIA despite being in the industry for quite a few years, does not offer live chat as a support option. This is quite disappointing, to say the least. The US-based provider only offers email and ticket support, and even in that, they give late responses. Their average response time is somewhere between 7 to 8 hours, which is quite a lot especially considering users require instant assistance to queries. If we talk about email support, NordVPN was way more proactive in its replies than PIA. The US-based provider took its sweet time in replying to our queries. This may not prove exactly helpful if a customer is in need of urgent assistance. Especially, if they cannot find an answer in the Knowledgebase offered by the provider. NordVPN definitely wins this one. PIA, on the other hand, did not unblock Netflix or any other major streaming platform, including Amazon Prime, BBC iPlayer, and ABC. They do not offer specialized servers like NordVPN or ExpressVPN, for those who lean towards unblocking and streaming more. Split Tunneling PIA Split Tunneling grants users the ability to decide what traffic routes through the VPN and your local ISP concurrently. Unfortunately, NordVPN does not come equipped with the Split Tunneling feature, which means PIA wins this one! Dedicated IPs NordVPN Dedicated IPs grant better security for accessing banking information and unblocking VoDs. They also tend to be faster and safer. NordVPN offers dedicated IPs in 42 countries (prices ranging from $7.90 to $19.75). PIA does not offer static IPs at all. DDoS Protection NordVPN DDoS attacks are common for gamers/programmers/businesses, where the perpetrator makes a network resource unavailable. Sadly, PIA does not offer any protection against such attacks, whereas NordVPN comes equipped with built-in DDoS Protection. Multi-hop NordVPN Multi-Hop aka DoubleVPN creates a connection that routes your network through two different country servers for privacy. NordVPN creates its own special MultiHop feature for guaranteeing strong anonymity. PIA is yet to offer such a tool! Leak Protection Tie Leak Protection tools are the primary selling points of most VPN providers. They are crucial for protecting your identity. Both NordVPN and PIA offer DNS Leak Protection, IPv6 Protection, and WebRTC Protection. This makes it a tie between the two! Proxy Availability NordVPN Proxies can have many different and specific uses, depending on the type you use or is available from providers. NordVPN offers a Web Proxy, YouTube Proxy, and SOCKS5 proxy for torrenting. It has an edge over PIA which only offers the SOCKS5. Though we have elaborated on who wins each category above, some users may be looking for a more direct approach. As such, we took our time in scoring both NordVPN and PIA in different aspects to give our users a better idea. The process took us a great effort, so we hope it helps users when the decision-making time comes between the two providers. I checked Reddit for the comparison between these two services based on actual user reviews. My analysis found NordVPN to be the best reddit vpn. It is preferred by a higher number of users, which is obvious, given that it is a bigger service. PIA does have its followers, but if you look at the comments below, you will notice a favoritism for NordVPN. Of course, selecting a VPN from the two is up to you! Step 5: Install the app, enter your login credentials, and enjoy using NordVPN! Step 5: Enjoy using PIA for unblocking/torrenting/streaming! NordVPN vs. PIA: Who is the Winner? There is no doubt that both NordVPN and PIA are great names in the marketplace. However, when it comes to determining a winner among the two, things become quite clear. I believe that NordVPN overpowers PIA in a myriad of aspects. Its location is also incredibly strategic, whereas PIA has its base of operations in the US (an unsafe location). From a privacy standpoint, I would advise using NordVPN! 2 Responses to NordVPN vs. PIA (Private Internet Access) – Who Will Takes the Trophy? Giving PIAVPN and PureVPN a go right now and gonna say PureVPN is pretty much good and I love their app also.